This is an interesting a little science project. 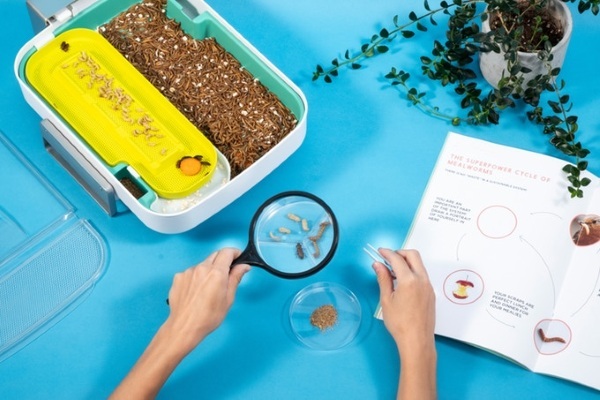 It’s a mealworm farm. You toss in your food scraps that would normally end up in the trash and the mealworms eat them. The worms leave behind waste that makes great plant food. The circle of life. Also, the worms themeselves are edible. You can feed them to your pets like turtles and lizards if you have them or you can eat them yourself if you’re feeling adventurous. Grow you own food. Or not. 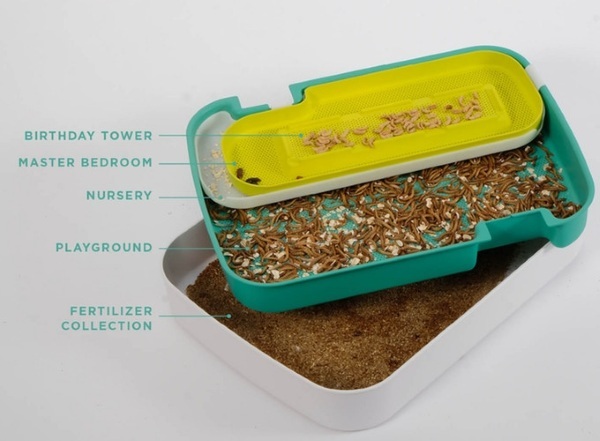 The kits are easy to use and comes with what you need to grow you own worms. They’re not shipping until September but you can preorder yours for $137.